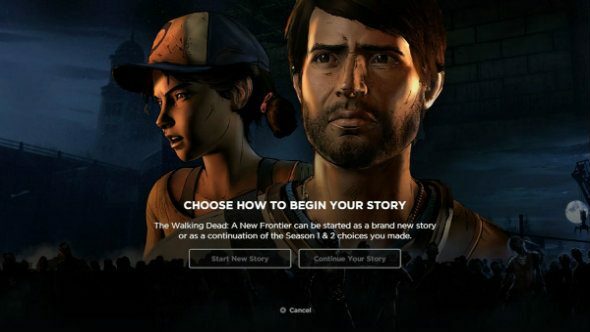 Whether you’re going into The Walking Dead’s third Telltale season completely fresh, you’ve played the first two seasons on Steam, or you played them on a completely different platform, there will be a suitable option to continue your adventure with this latest season of the zombie-filled drama series. If that’s not enough shuffling corpses for you, check our list of the best zombie games. If you’re new to the series, you can choose to just begin the adventure anew, with this as your starting point, the game not factoring in choices from the previous seasons. Well, Clementine will be alone with AJ at the start, either way, having lost everyone from the previous seasons. If you have a save game from Season 2, you can import that save and all your choices will be imported along with it. Additionally, if you have a save on a different device, you can log into Season 2 on that device and set up a Telltale account. From there you can enable cloud saves and you data will be migrated across. Say you don’t have that device anymore, there’s yet another option – a story generator. With this, you can go through a series of questions and set whatever world state you want, starting Season 3 at one of 42 possible start points. Head over to the Telltale post for official details.